There are two folders in my Evernote account with one labeled ‘Fiction’ and the other ‘Non-fiction’. As you can probably infer, the ‘Fiction’ folder is dedicated to my attempts at writing short stories while ‘Non-fiction’ is for when I have something to say on things around the world or just in my life. As of now, there are 58 entries in the ‘Non-fiction’ folder while there are only 10 in the ‘Fiction’ folder. I am laughably atrocious when it comes to writing fiction. Considering I’ve been using Evernote to keep track of my writing for about 8 months now, I think it’s fair to say I’ve been quite productive since I only get to write for myself when I have a free weekend. Except for the fact that at least half of those entries are nowhere near finished. 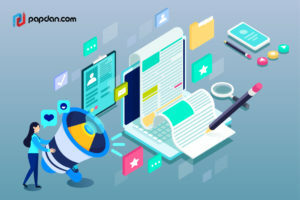 Following through on things has always been a weakness of mine and this has also been a problem for SEO services, where the business of content creation isn’t accompanied by an appropriate content promotion strategy. You know it’s funny but I never really had problems in finding something to write about, every time I saw something interesting or read about something that caught my eye, I always make it a point to write it on Evernote with a plan to expand on it in the future. It’s why under an entry labeled ‘A Lack of Identity’, there are only a collection of random thoughts on Elizabeth Warren’s DNA tests and on the Subtle Asian Traits group without a coherent unifying theme. For me, it’s very easy to feel inspired but sustaining that level of inspiration to write 2,000 of understandable and naturally flowing collection of words tend to be beyond my reach most of the time. And even when I do manage to pour my thoughts into a piece of writing, the fact that I’m going to have to compete with millions of other, better writers can be a bit of a downer. The simple truth is that there are just so many contents, not just articles and/or blog posts, floating around the internet that ensuring you could get just one reader felt like an impossibility. If a tree falls in the forest and no one is around to hear it, does it make a sound? Or alternatively, the 21st century version; If I ran into Nicole Kidman at the Australian Open but no one took a photo of it an uploaded it to Instagram, did it really happen? Quality content is great and all but quality is useless if no one’s there to recognize it and that’s where content promotion comes in. The idea is simple, spread the word and make sure your content gets the highest number of audience possible and here are 4 ways you could use to achieve this. Despite being twice as old as yours truly, e-mail remains an effective form of communication, especially for the purpose of content promotion. E-mail is where I received most of my reading materials, it’s where I receive information on events happening around the city and it’s also where I receive information regarding sales or other promotions from brands I care about. Long story short, e-mail is important. The truth is, the internet is not at the point of obesity; there’s simply too much stuff floating around. My queue on Netflix is so loaded that I literally cannot add more things to the queue. I have a subscription to Marvel Unlimited with the intention of catching up to current comics but I’m still reading comics published in 2007. The beauty of an e-mail newsletter is that things are delivered straight to your audience’s inbox, saving you from having to compete with other things available online. About 79% of Australia’s population use social media so it makes perfect sense that you use social media as a content promotion platform. What can sometimes be lost in the discussion is the question on when should you post on social media? Depending on which part of the demographic you’re trying to court and various other factors, the answer to that question is going to be different so do your research if you want your social media posts to reach the most audience. Hashtags is an effective way of inserting yourself into the conversation in social media. This can be especially important if one of your contents is created specifically to tap into the zeitgeist, in response to whatever it is that’s currently trending. By incorporating hashtags into your social media posts, you can increase the likeliness of your content being discovered by people who are unfamiliar with your brand but are interested in your industry, which might help you gain new customers. I personally dislike the term influencers, I prefer the more old-fashioned term thought leaders, but there’s simply no denying the effect they have on the public. Influencers are well, influential, because unlike the typical celebrities, they usually have an idea what they’re talking about. For small businesses, even a simple word from these people could hold enough sway to turn their fortunes upside down. There are various ways you could use influencers for the purpose of marketing. The easiest way is to get them to mention your brand, either by directly paying them or in some sort of cross promotion in a quid pro quo exchange. One other way is to get them to review your product and/or services objectively. The latter is more risky but if you have the utmost confidence on what you’re selling, I’m not going to stop you. This entry was posted in Article and tagged agency, article, branding, business, content, design, designer, developer, development, ecommerce, google, marketing, Melbourne web designer, mobile, online, search engine, search engine optimisation, search engine optimization, SEO, SEO agency, seo services, social media, web design, web designer, web developer, web developer agency, web development, website, website designer, website development on January 25, 2019 by Mario.